06-06-2016: Land Supply to increase as Sales improve. 04-06-2016: Punggol ECs are still in demand. The Terrace EC - Punggol Drive EC Edgedale Plains by Peak Square. Register for Showflat and E-Application Here. The Terrace EC is a 99-years leasehold Punggol EC development located at Punggol Drive / Edgedale Plains in District 19. With expected completion in Nov 2017, it comprises of 12 towers with 747 units and stands highest at 17 storeys tall. It is situated right beside Kadaloor LRT Station. Future residents will be able to access the nearby Compass Point and Rivervale Mall which is a short drive away for some family fun and gatherings. A truly unique lifestyle awaits you. The Terrace EC has full and unique facilities, which includes a guard house, clubhouse, Function Room & Indoor Gym, 50m Pool, BBQ Area. The condo’s facilities provide full family entertainment needs for your family and loved ones. 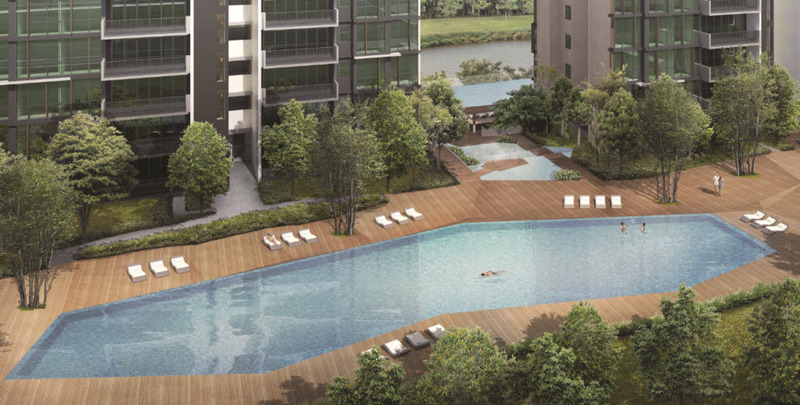 Indulge in a serene and tranquil lifestyle right in the heart of Punggol. The Terrace EC will be accessible with Kadaloor LRT Station as well as Sengkang Bus Interchange. It is also right beside Tampines Expressway(TPE). The Terrace EC is also near to Marina Country Club, Sengkang Riverside Park and Sheng Siong hypermart in Punggol/Sengkang Central. The Terrace EC is also near elite schools such as Horizon Primary School, Greendale Secondary School and Greendale Primary School. For vehicle owners, it takes less than 30 minutes to drive from Punggol to the business hub and vibrant Orchard Road shopping district, via Tampines Expressway (TPE), Central Expressway (CTE) and Kallang-Paya Lebar Expressway (KPE). 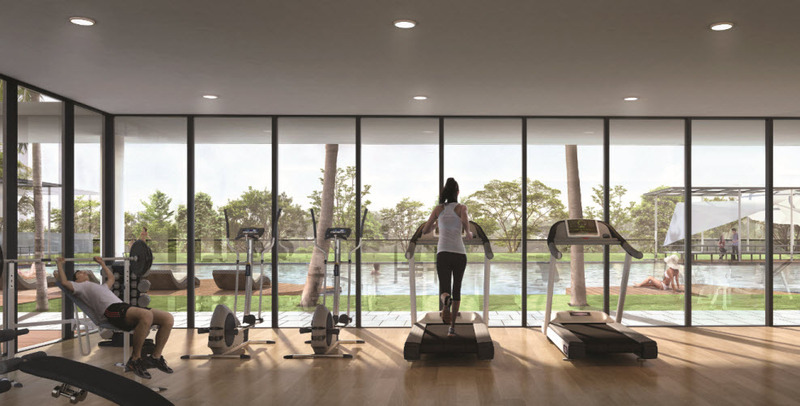 A wonderful and unique lifestyle awaits you at Punggol The Terrace EC. Please see The Terrace EC project details and floor plans for more information. Kheng Leong begin its roots way back in 1949 as an international commodity and spice trading company. As the investment landscape evolves over the years, Kheng Leong has begun to take more interest in property development in Singapore and real estate investment. There are core city condos near to Great World City MRT Station that is available for sale. For example, 8 Saint Thomas by Bukit Sembawang Estates is located near to the city and is just minutes away from Great World City Shopping Centre. Over the years, Kheng Leong has acquired a growing portfolio of properties and collaborations with other property developers and its partners spans from locals to other parts of the world. Also, Kheng Leong has always been seeking investment opportunities in other countries and tapping their potential throught strategic alliances and identifying on other companies synergies to maximize a possible alliance potential. Kheng Leong has taken a particular front in cluster houses in Singapore such as Belgravia Villas as well as other residential projects such as Double Bay Residences, Nassim Park Residences and The Chuan. In the executive condominium segment, Kheng Leong has also undertake projects such as The Terrace, The Topiary as well as The Eden. 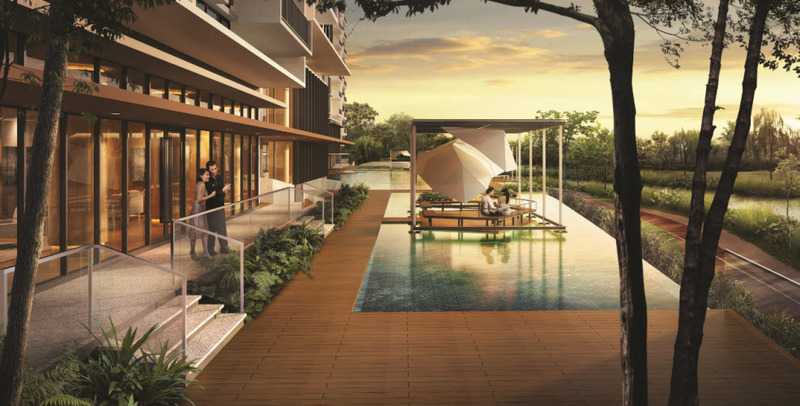 The Garden Residences Serangoon North Avenue 1 Condo by Keppel Land located near to Serangoon and Ang Mo Kio. Riverfront Residences Oxley Lian Beng Venture Singapore is a new development for the former Rio Casa enbloc. 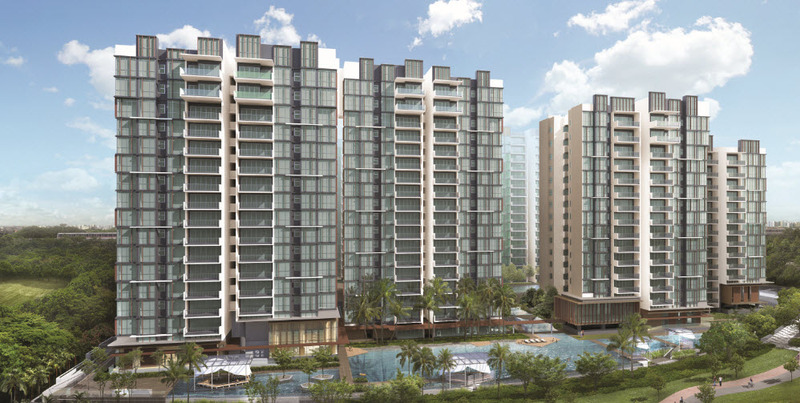 Riverfront Residences is located in Hougang. Riviere Great World City Frasers Property located at Singapore River at Jiak Kim Street. Riviere is a new development that is for sale soon by Frasers. Piermont Grand Punggol Sumang Walk is a highly sought after Executive Condo as it is located in the mature estate of Punggol. Piermont Grand Executive Condo will be launching soon. More information with regards to Roxy Pacific Holdings Fyve Derbyshire can be found here. Fyve Derbyshire is located right in the heart of Novena by Roxy. Avenue South Residence Greater Southern Waterfront is a new development by UOL Group and Kheng Leong. 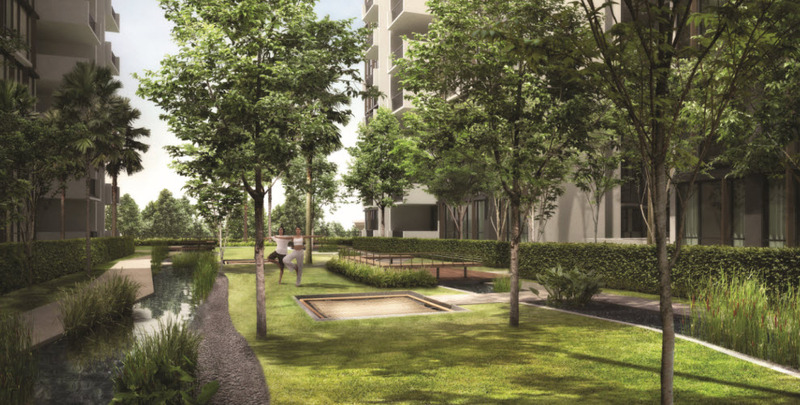 Avenue South Residence is just minutes from Kampung Bahru as well as Greater southern waterfront. Please also see Meyerhouse by UOL Group. Meyerhouse is located right in the heart of Tanjong Katong and is the former Nanak Mansions. One Holland Village Concept Tender is a new development that is close to many of the developments at Holland Village. One Holland Village Condo will be available for sale soon. Please also see more developments such as Midtown Suites by Guocoland. Midtown Suites is a new development that is located near to Bugis and is an integrated development. Fraser Residence Promenade by Frasers Centrepoint Homes. Fraser Residence Promenade at Singapore River is a new development by Fraser Property. Van Holland Freehold Condo is a new development by Koh Brothers KBD Ventures. Van Holland is located right in the heart of Holland Village MRT Station. Jadescape Condo is a new development by Qingjian Realty close to Marymount MRT Station. Jadescape is a mega development over 1,000 units for your consideration. As humans, we are becoming so much engaged in our everyday lives. Life is increasingly demanding. There is a lot going on, from politics to business and the hustles and bustles of life. When we feel at peace and safe is when we are at home. That means, we all deserve a cool and quiet home to help us unwind from our everyday hustles. And that is exactly what we get from The Tre Ver residence. The Tre Ver Raintree Gardens is a new residential Condominium by the UOL Group. It is a perfect setting for human habitation. Located within the heart of the prime district 13, Tre Ver lies in an environment that blends tranquility, serenity, and modernity, giving you a perfect escape away from the buzz and bustles of the city life. The Tre Ver is exactly found at the Potong Pasir Avenue 1, at the former Raintree Gardens. 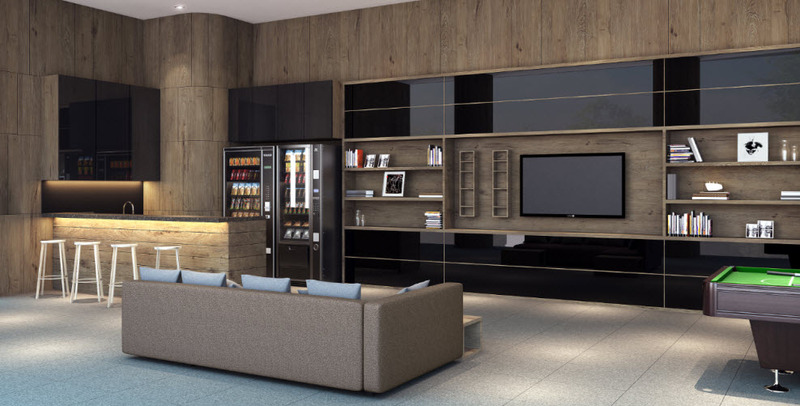 Residents here can have a unit of their choice from one to four bedrooms and penthouses depending on the kind of lifestyle that will suit them. As you enter the premise, you are welcomed and guided along a well-enhanced luxurious experience with a drop off point. The place is well guarded with different security to make your stay safe and enjoyable. The architecture of The Tre Ver is of its kind and infuses timeless modernity and the state-of-the-art creativity and design that is built to last. Its magnificent and lavish style is truly inspired by nature, with thematic spaces with greenery landscaping, colors, and serenity that paint a picture of the environment around. 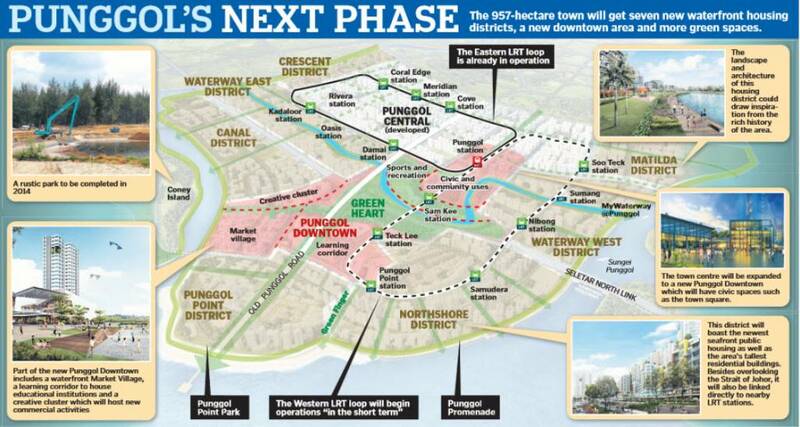 It has a North East(NE) line that has a Potong Pasir MRT station along with a Boon Keng MRT. The Tre Ver has in proximity, are a number of bus stations that will serve one’s daily routes as well as the Downtown Line(DT) on the other side of the road with a Geylang Bahru MRT and a Bendemeer MRT stations. The Tre Ver Potong Pasir Avenue 1is accessible to residents with private vehicles using the well-connected roads that lead in and out. One can drive along its own Serangoon road, along with the accessible Bendemeer road on the other side. Alternatively, residents can use the Pan Island Expressway(PIE) which is not far from the premise, and next to it is the Central Island Expressway(CIE) which connects to the financial district of Singapore which has tourists attractions as well as many commercial sites like the famous Central Business District, neighbouring Orchard Shopping and Marina Bay at the East Coast region. The Tre Ver Raintree Gardens is a perfect Condo for family and friends to bond. Families, friends, and relatives can dine and BBQ then have a swim, then go keep fit in a gym or go have fun at the playground. They say life is a bed of roses. They also say home is where your heart is. With Tre Ver, you are perfectly home. Have an amazing stay with family in Singapore’s most desired and admired neighborhood. The Tre Ver brings meaning to life in a more spectacular way! Riverfront Residences, an erstwhile privatized HUDC estate Rio Casa is a newly built 99-years leasehold residential project. The project is developed by a joint venture company Oxley-Lian Beng Venture co-owned by Oxley Holdings, KSH Development, Lian-Beng Group and Apricot Capital. Oxley Lian Beng Riverfront Residences received significant amount of interest from several real estate developers thanks to its positive traits and close proximity with Hougang MRT Station. The development also benefitted from the fact that there were no new residential projects launched lately in that area. Riverfront Residences is built by Oxley-Lian Beng joint venture company co-owned by reputed firms like Oxley Holdings (35 percent stake), KSH Development (35 percent stake), Lian-Beng Group (20 percent stake) and Apricot Capital (10 percent stake). The timing of the collective sale is crucial as the developers are optimistic about the residential property market as well as HUDC property owners are keen to cash in their profits from selling their properties. 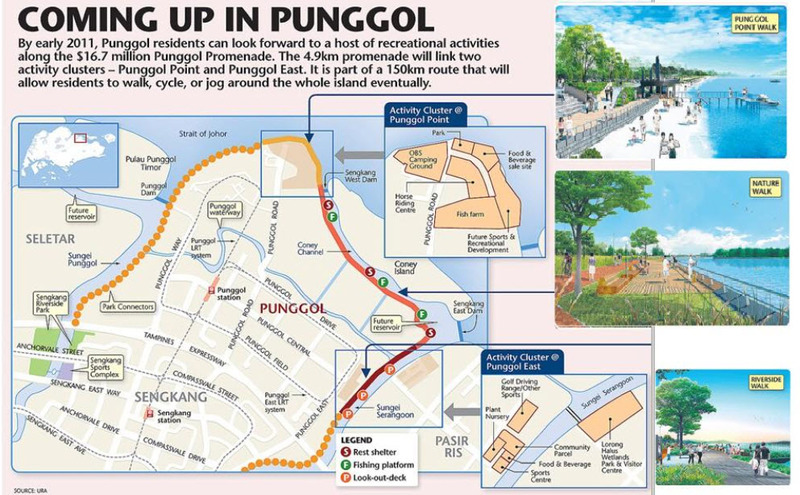 The developer also planned a stunning waterfront as well as greenery views of both Sungei Serangoon and Upper Serangoon along the development. The development is near to Hougang Mall, formerly NTUC Hougang Mall, which is popular shopping destination in the city and located near to the Hougang MRT Station. The mall is massive near to Riverfront Residence Hougang and has several food stalls inside the mall for food enthusiasts. The mall went through a renovation in 2006 and increased its size to include a food cluster and a massive playground to reclaim its position as a family-oriented mall. The mall has several anchor tenants like KFC, Subway, etc inside the mall. The mall is extremely popular among the millennials. The mall also hosts regular events like lucky draw, holiday shopping deals, etc to attract even more crowd. Riverfront Residences Condo is also close to CHIJ Our Lady of The Nativity girl’s primary school, one of the top Christian schools in the country. The school aims to provide well-balanced curriculum to its students in a Christian environment. The school also aims to harness each and every pupil’s unique potential inside the school. The school also has mechanisms to identify students who are unable to cope with the school life and encourages them to look out for help when required. Riverfront Residences Oxley Singapore is also located right next to Holy Innocent’s High School, which is one of the top Catholic secondary schools in Singapore offering GCE O Level examinations. Since 2007, the school Advanced Elective Modules (AEMs) to its students and has partnered with Nanyang Polytechnic, which embraced a practice learning method for its students. The school strongly believes that education starts with each of us having a sensitive heart to follow and learn whatever you required to grow into an individual who can lead courageously and has the compassion to serve. Hence, the school’s education system focusses more on harnessing each and every student’s unique potential and encourage them to pursue their passion as well as help them to discover their passion to excel in what they do best. Enter Here: What is Five+Six=?